From the Aloria-LED outdoor range of lighting products. A 225mm high cast aluminium black finish circular wall mount holding a domed upward facing grilled lantern with a contrasting white polycarbonate shade. 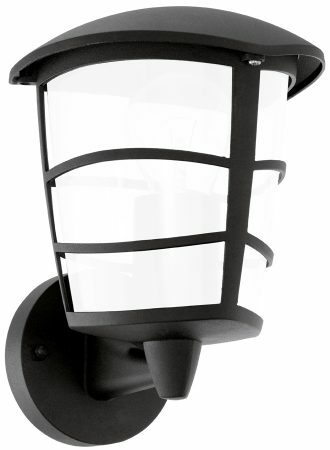 Supplied with a 7w energy saving LED light bulb this IP44 rated outdoor wall light would make a an ideal cost effective replacement for that ageing house entrance light.